Richard Rolle (1290/1300– late September 1349) was an English hermit, mystic, and religious writer. He is also known as Richard Rolle of Hampole or de Hampole, since at the end of his life he lived near a Cistercian nunnery in Hampole, Yorkshire. In the words of Nicholas Watson, scholarly research has shown that "[d]uring the fifteenth century he was one of the most widely read of English writers, whose works survive in nearly four hundred English...and at least seventy Continental manuscripts, almost all written between 1390 and 1500." In his works, Rolle provides little explicit evidence about his early life and education. Most, if not all, of our information about him comes from the Office of Lessons and Antiphons that was composed in the 1380s in preparation for his canonisation, although this never came about. Born into a small farming family and brought up at Thornton-le-Dale near Pickering, he studied at the University of Oxford, where he was sponsored by Thomas de Neville, the Archdeacon of Durham. While there, he is said to have been more interested in theology and biblical studies than philosophy and secular studies. He left Oxford at age eighteen or nineteen - dropping out before he received his MA - to become a hermit. Leaving the family home, he first went to Pickering, and housed with a squire, John Dalton, for perhaps three years. It was probably while still living with Dalton, two years and eight months after becoming a hermit, Rolle had his first mystical experience. Around a year later, he felt similarly after listening to a choir, and he began to take less interest in all things temporal. Dalton himself was arrested and his lands confiscated in 1322; the lack of mention of this fact in accounts of Rolle's life makes it likely that he was no longer living with Dalton by this point. "I felt within me a merry and unknown heat...I was expert it was not from a creature but from my Maker, as it grew hotter and more glad." —Rolle on his first mystical experience. It is unclear where Rolle lived from 1321/2 until his death in 1349. One theory is that Rolle spent the early 1320s at the renowned Sorbonne, becoming well-trained in theology, and perhaps being ordained there. This theory is based on the entries in three seventeenth-century manuscripts at the Sorbonne, assumed to be copies of medieval originals, which record a Ricardus de Hampole as being admitted to the Sorbonne in 1320, entering the prior's register in 1326, and noting that he died in 1349 among the sisters of Hampole near Doncaster in Yorkshire. Scholars, however, are divided on the authenticity of this material. Whether or not Rolle studied in Paris, it is probable that most if not all of this time was spent in Richmondshire, either living with his family at Yafforth, or, given the uncertain political conditions in the region at the time, wandering from patron to patron. Around 1348, Rolle knew the Yorkshire anchoress Margaret Kirkby, who was his principal disciple and the recipient of much of his writings and would be important in establishing his later reputation. Rolle died in Michaelmas 1349 at the Cistercian nunnery at Hampole. Because of his time spent here, where he was director of the inmates, he is sometimes known as Richard Rolle of Hampole, or de Hampole. It is unclear what his function was there: he was not the nuns' official confessor, who was a Franciscan (in any case, it is unlikely he would have had ecclesiastical sanction for this, since unless the theory about his ordination in Paris is correct, he was probably not ordained, since his name is not in the list of those ordained in the dioceses of York or Durham in the relevant years). However he wrote The Form of Living and his English Psalter for a nun there, Margaret Kirkby (who later took up a similar life to Rolle, as an anchoress), and Ego Dormio for a nun at Yedingham. It is possible that he died of the Black Death, but there is no direct evidence for this. He was buried first in the nuns' cemetery at Hampole. Later records of people making offerings of candles at his shrine show that he was moved first to the chancel and then to his own chapel. Rolle probably began writing in the early 1330s, and continued until his death - but there is no certain chronology of his various works. He wrote in both Latin and English, with his English works apparently all dating from after c1340. The precise dating of Rolle’s works is a matter of much modern dispute. The dates set out by Hope Emily Allen in 1927 have been widely used by later writers, but in 1991 Nicholas Watson set out a rather different vision of the chronology of Rolle’s writing. In one of his best-known works, Incendium Amoris (The Fire of Love), Rolle provides an account of his mystical experiences, which he describes as being of three kinds: a physical warmth in his body, a sense of wonderful sweetness, and a heavenly music that accompanied him as he chanted the Psalms. 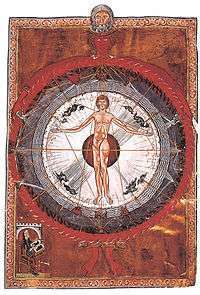 The book was widely read in the Middle Ages, and described the four purgative stages that one had to go through to become closer to God: described as open door, heat, song, and sweetness. His last work was probably the English The Form of Living, written in autumn 1348 at the earliest. It is addressed to Margaret Kirkby, who entered her enclosure as a recluse on 12 December 1348, and is a vernacular guide for her life as an anchorite. Commentary on the Readings in the Office of the Dead taken from Job. This commentary on nine readings from the book of Job which form part of the readings for the office of the dead was used extensively by York clergy in the fifteenth century. Surviving in forty-two manuscripts, it was the first of Rolle's works to be printed, in Oxford in 1483. Commentary on the Canticles, a commentary on the first two and a half verses of the Song of Songs. It survives in thirty manuscripts. Two Commentaries on the Psalter. One is in Latin, and may belong to the very early period after Rolle left Oxford. The second is an English commentary with translation of the Latin Psalms into English, which was designed to help Margaret Kirkby to understand the doctrines behind the Psalms she was to chant in her anchorage. For nearly 200 years this commentary remained the only authorised translation of the Bible into English; it did not need diocesan permission for its use. It exists in about 20 manuscripts. Commentary on the Apocalypse, on the first six chapters of the Book of Revelation. Other commentaries on the Lord's Prayer, the Magnificat and the Apostles' Creed. Super Mulierem Fortem, a comment on Proverbs 31:10. Judica me Deus, probably his first work, written around 1330. This survives in four versions, and is an apologia for his hermit lifestyle, making use of the pastoral manual of a fellow Yorkshireman, William of Pagula. Contra Amatores Mundi (Against the Lovers of the World), which survives in 42 manuscripts. Incendium Amoris (The Fire of Love), written before 1343 (the date of Rolle's marginal note), which survives in 44 manuscripts (15 from the Continent) and one Middle English translation. Melos Amoris (or Melum Contemplativorum) (The Melody of Love), which survives in 10 manuscripts. The Form of Living, his last work, which survives in 30 manuscripts. It contains 12 chapters and was written at Hampole for Margaret Kirkby when she was living in a cell in Richmondshire. Emendatio Vitae (Emending of Life). This was the most popular work of Rolle, with 110 manuscripts (17 from the Continent), and seven independent Middle English translations. The Commandment, one of two letters written for nuns. While the most popular poem in Middle English, The Pricke of Conscience, was once attributed to him, it is now known to have been written by an anonymous Yorkshire author in the 14th century. It is now thought that De Dei Misericordia, a comment on Psalm 88:2, was written by John Waldeby in the later fourteenth century. Richard Rolle inspired a flourishing cult, especially in the north of England, which was still active at the time of the English Reformation. Part of this may have been due to the efforts of Margaret Kirkby, who moved to the priory, probably between 1381 and 1383, to be near the body of her master, Rolle. Margaret may have spent the last 10 years of her life here, and between 1381 and 1383 a liturgical office for Rolle, including a great deal of biographical information about him, was written; it likely includes stories about him remembered by older members of the community. Rolle's works were widely read in the fourteenth and fifteenth centuries, more so even than Chaucer. Works of his survive in about 470 manuscripts written between 1390 and 1500, and in 10 sixteenth and early-seventeenth century printed editions (including the sixteenth-century edition by Wynkyn de Worde). In some manuscripts, Rolle's Commentary on the Psalter is interpolated with Lollard teaching, providing indications of one group who read his work. Rolle’s work was not uncontroversial. He was criticised by Walter Hilton and the author of The Cloud of Unknowing; a defence of Rolle’s work was written by the hermit Thomas Basset in the late fourteenth century against the attack of an unnamed Carthusian. The shrine and priory at his burial place of Hampole was dissolved on 19 November 1539. The remains can be seen in an old schoolhouse in Hampole. Rolle is honoured in the Church of England on 20 January and in the Episcopal Church (USA) together with Walter Hilton and Margery Kempe on 28 September. ↑ Richard Rolle, the English writings, translated, edited, and introduced by Rosamund S. Allen. Classics of Western Spirituality, (New York / London: Paulist Press / SPCK, 1988), p17. ↑ Numerous colophons in manuscripts of his work record his death as occurring at Michaelmas 1349, making this a probable date. ↑ Watson, Nicholas (1991). Richard Rolle and the Invention of Authority. Cambridge: Cambridge University Press. p. 31. ISBN 0521390176. ↑ Wooley, Reginald Maxwell (1919). The Officium and Miracula of Richard Rolle, of Hampole. New York: Macmillan. pp. 8–9. Retrieved 21 February 2015. ↑ Watson. Richard Rolle and the Invention of Authority. p. 31. ↑ Richard Rolle, the English writings, translated, edited, and introduced by Rosamund S. Allen. Classics of Western Spirituality, (New York / London: Paulist Press / SPCK, 1988), p9. 1 2 "RICHARD ROLLE The Book of Margery Kempe, chapters 17, 58, and 62". Mapping Margery Kempe. Retrieved 2009-07-11. ↑ "Learning from the English Mystics, Alison Fry, ISBN 1-85174-395-2". ↑ This is according to Lesson I of the Office drawn up in the 1380s in preparation for his anticipated canonisation. Richard Rolle, the English writings, translated, edited, and introduced by Rosamund S. Allen. Classics of Western Spirituality, (New York / London: Paulist Press / SPCK, 1988), p. 14. ↑ He apparently took two of his sister's favourite tunics and ripped them to form them into a homemade hermit's habit. Richard Rolle, the English writings, translated, edited, and introduced by Rosamund S. Allen. Classics of Western Spirituality, (New York / London: Paulist Press / SPCK, 1988), p. 13. ↑ Richard Rolle, the English writings, translated, edited, and introduced by Rosamund S. Allen. Classics of Western Spirituality, (New York / London: Paulist Press / SPCK, 1988), p. 18. ↑ See Richard Rolle, the English writings, translated, edited, and introduced by Rosamund S. Allen. Classics of Western Spirituality, (New York / London: Paulist Press / SPCK, 1988), pp. 22-3 for a summary of the various scholarly positions on this theory. Bernard McGinn, The Varieties of Vernacular Mysticism, (New York: Herder & Herder, 2012), p. 340, dismisses the stories about Paris as ‘legends’. ↑ Richard Rolle, the English writings, translated, edited, and introduced by Rosamund S. Allen. Classics of Western Spirituality, (New York / London: Paulist Press / SPCK, 1988), p. 23. 1 2 Richard Rolle, the English writings, translated, edited, and introduced by Rosamund S. Allen. Classics of Western Spirituality, (New York / London: Paulist Press / SPCK, 1988), p. 24. ↑ Bernard McGinn, The Varieties of Vernacular Mysticism, (New York: Herder & Herder, 2012), p341. ↑ See Hope Emily Allen, Writings Ascribed to Richard Rolle Hermit of Hampole and Materials for his Biography, (New York, 1927); Nicholas Allen, Richard Rolle and the Invention of Authority, (Cambridge: CUP, 1991), pp. 273-294. Some of the difficulties are summarised in John A Alford, 'Richard Rolle and Related Works' in ASG Edwards, ed, Middle English Prose: A Critical Guide to Major Authors and Genres, (New Brunswick, NJ: Rutgers University Press, 1984), pp. 35-60. 1 2 Richard Rolle, the English writings, translated, edited, and introduced by Rosamund S. Allen. Classics of Western Spirituality, (New York / London: Paulist Press / SPCK, 1988), p41. 1 2 3 4 5 6 Jonathan Hughes, 'Rolle, Richard (1305x10–1349)’, Oxford Dictionary of National Biography, (Oxford University Press, 2004; online edn, May 2008). ↑ Richard Rolle, the English writings, translated, edited, and introduced by Rosamund S. Allen. Classics of Western Spirituality, (New York / London: Paulist Press / SPCK, 1988), p. 66. ↑ Bernard McGinn, The Varieties of Vernacular Mysticism, (New York: Herder & Herder, 2012), p343. ↑ Bernard McGinn, The Varieties of Vernacular Mysticism, (New York: Herder & Herder, 2012), p344. Oddly, Jonathan Hughes, 'Rolle, Richard (1305x10–1349)’, Oxford Dictionary of National Biography, (Oxford University Press, 2004; online edn, May 2008) states that only seven manuscripts of this survive. This appears to be a mistake. 1 2 Bernard McGinn, The Varieties of Vernacular Mysticism, (New York: Herder & Herder, 2012), p344. ↑ Richard Rolle, the English writings, translated, edited, and introduced by Rosamund S. Allen. Classics of Western Spirituality, (New York / London: Paulist Press / SPCK, 1988), p48. ↑ Richard Rolle, the English writings, translated, edited, and introduced by Rosamund S. Allen. Classics of Western Spirituality, (New York / London: Paulist Press / SPCK, 1988), p33. ↑ See Michael G Sargent, 'Contemporary criticism of Richard Rolle', in Kartäusermystik und -Mystiker, 5 vols, (Salzburg, 1981-2), vol 1, pp160-205. Gillespie, Vincent; Fanous, Samuel (2012). The Cambridge Companion to Medieval English Mysticism. Cambridge University Press. Retrieved 22 May 2015. Kraebel, Andrew (2012). "The Use of Richard Rolle's Latin Psalter in Richard Ullerston's Expositio canticorum Scripturae". Medium Ævum. 81: 139–44. Roman, Christopher (2017), Queering Richard Rolle. Rozenski, Steven (2013). "Authority and Exemplarity in Henry Suso and Richard Rolle". In E.A. Jones. The Medieval Mystical Tradition in England: Exeter Symposium VIII. Cambridge: D.S. Brewer. pp. 93–108. Van Dussen, Michael (2012). "Common Ground: Richard Rolle on the edges of orthodoxy in England and Bohemia". From England to Bohemia: Heresy and Communication in the Later Middle Ages. Cambridge University Press. pp. 37–62. Retrieved 22 June 2015. Watson, Nicholas (1991), Richard Rolle and the Invention of Authority, Cambridge: Cambridge University Press .